James Miller, "Game Theory at Work: How to Use Game Theory to Outthink and Outmaneuver Your Competition"
Game theory has become entrenched in today's business world. It has also often required oppressive and incomprehensible mathematics. 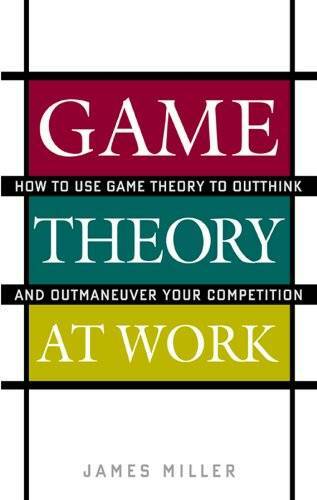 Game Theory at Work steers around math and pedagogy to make this innovative tool accessible to a larger audience and allow all levels of business to use it to both improve decision-making skills and eliminate potentially lethal uncertainty.